← Scapes, parsley, favas – hot stuff! 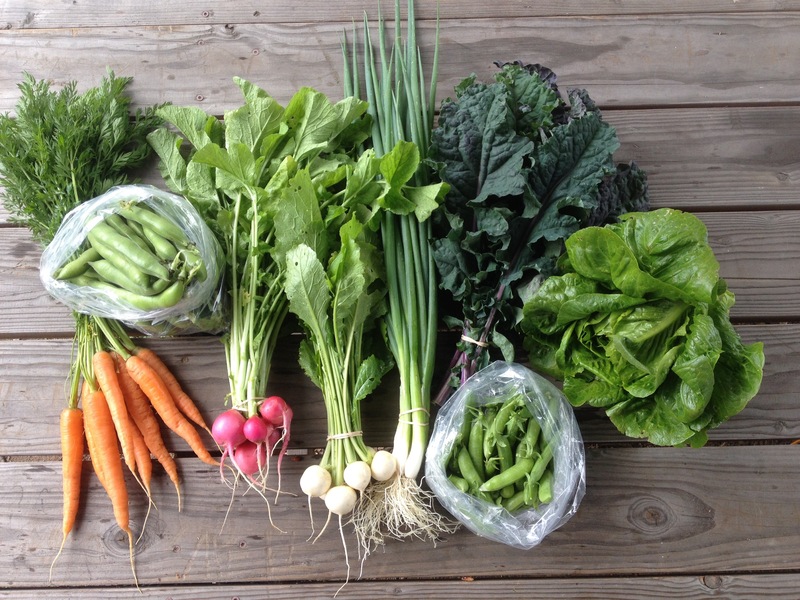 The first carrots are in the share today – an exciting event for me and hopefully for CSA members as well. Carrots are probably my favorite crop. They are so satisfying to eat and a good challenge to grow. Carrots “napoli” – a bunch of medium-small carrots today. Green onions – they are getting big and tall! Fava beans – This week the pods of these are less tender, so grilling them might mean eating them like edamame instead of trying to eat the pod as well. This is the last you’ll see of the favas. We have just enough left for Thursday’s harvest. salad turnips – Remember you can eat the greens of the turnips and radishes as well. They make fine braising greens and don’t take much time at all. lettuce “dark green romaine” – These sized up a bit bigger this time just as I had hoped! Today we finished harvest around lunchtime and were able to get a bit more caught up on planting and weed control. Now the big priority is trellising! The pole beans and tomatoes in the hoophouse have their trellis lines strung, but the outdoor tomatoes and all of the cucumbers still need to be done. I’m feeling optimistic that we can get a good chunk of it done this week. It’s nice to have a little bit of rain so the irrigation can hold back a bit, though those heat-loving crops are wondering what happened to the sun. 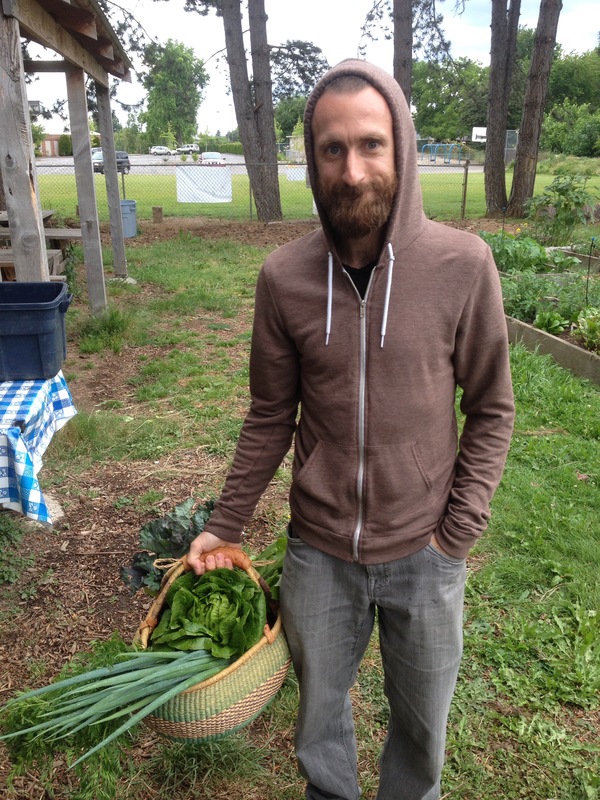 Below: a CSA member going home with a nice basket full of fresh greenery!